FilTrust Financial Services - Illusive Design Inc. If you’re a short-term loan company in Toronto, a financial services company in Toronto, or a financial company in Toronto in need of a mobile responsive website that is search engine optimized, we will ensure that you are positioned appropriately to drive qualitative web traffic. With a huge audience browsing online every day, this is an opportunity for your company to find customers, increase your audience, and establish what might be your most effective sales tool. 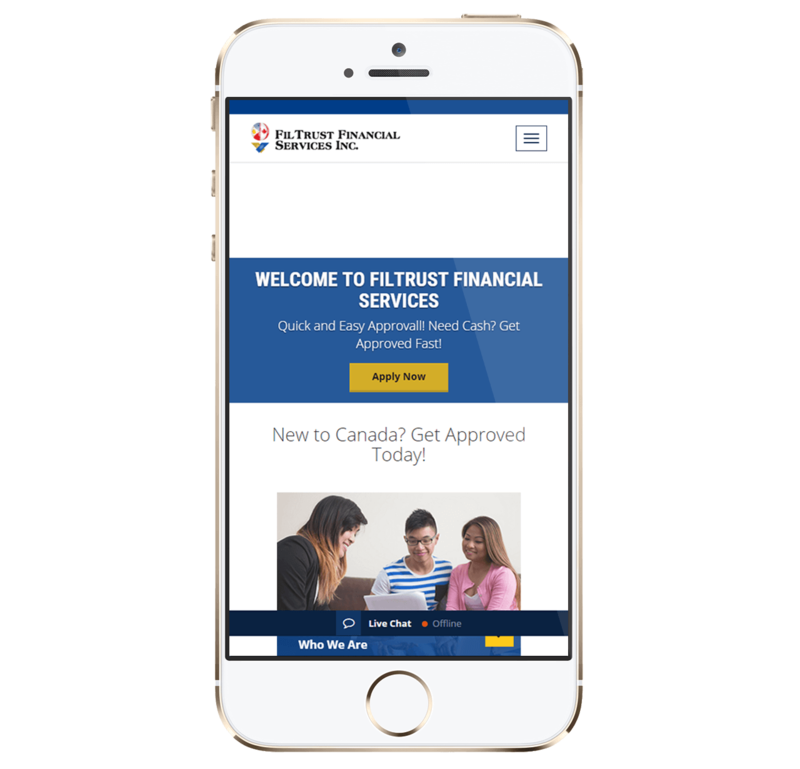 Mobile Responsive Website for Financial Website – Filtrust Financial Services Inc.
With every website visitor that clicks on your site, that’s an opportunity to sell. The financial services industry is one where casual traffic is typical and a financial company in Toronto is competing with dozens of others in this space for the same customer. 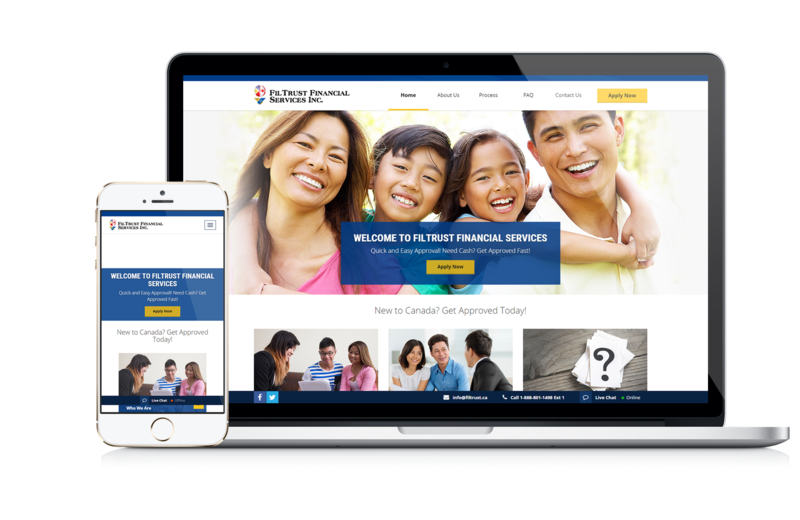 We have designed a Toronto mobile responsive website for Filtrust Financial Services, a company that specializes in short term loans, assisting them in ranking on search engines and putting together a high quality website content package. 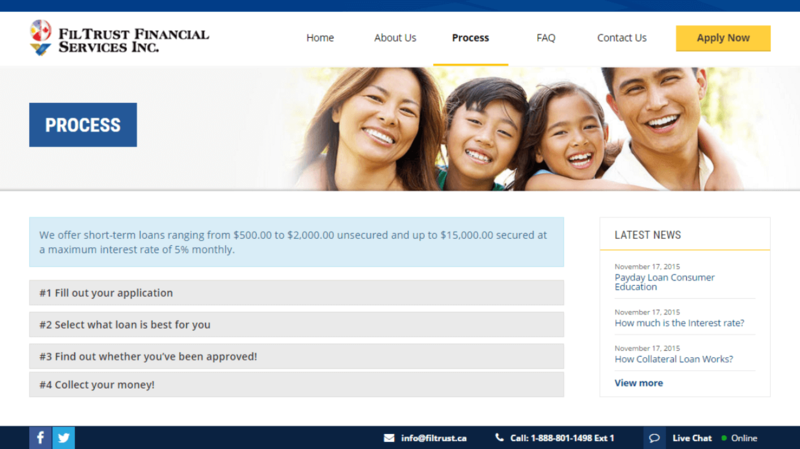 This short-term Toronto loan company was provided a financial organization WordPress website that allowed them to make their own content additions and giving them the ability to control some aspects of their own site beyond our initial build. 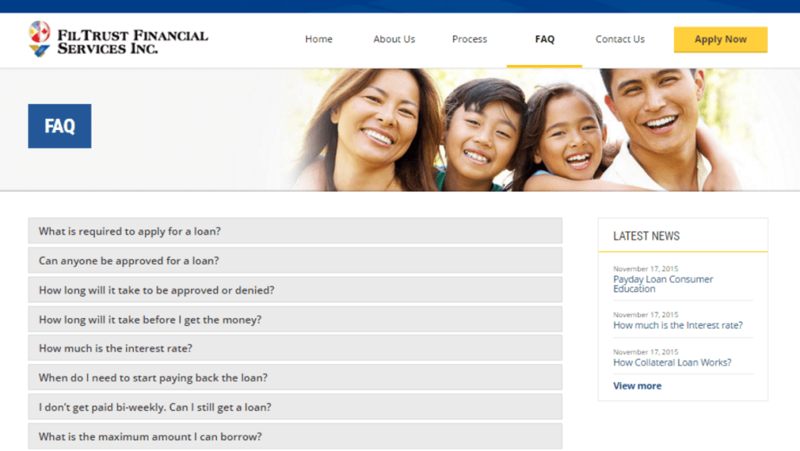 A part of this customization was also in building a custom loan application form that streamlined the company’s loan application process, saving them time and money in addition to providing them with an easy-to-use design. Frequently Asked Question laid out in user friendly way. An impressive search engine optimized design will not only let your customers find your site on the search engine but will direct them to the appropriate content. This is highly valuable to any company as it keeps the visitor on your site for longer, giving you more of an opportunity to turn a visitor into a customer. 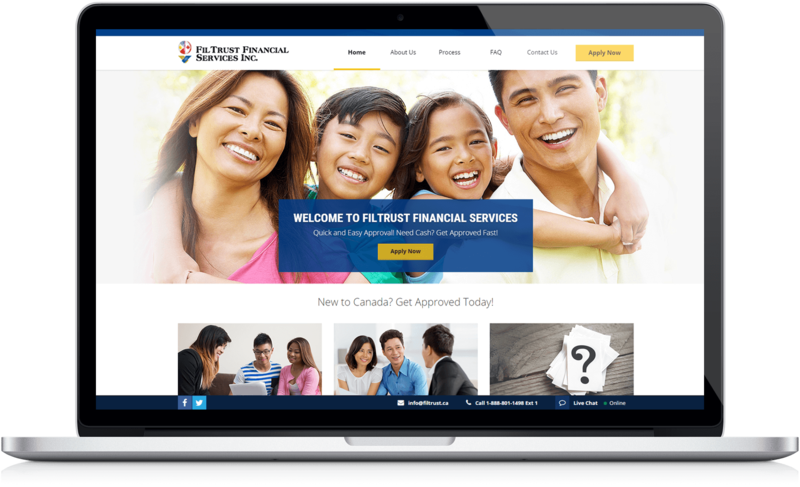 As a Toronto web design and web development service, we can assist in defining or re-defining your financial services company online. Our array of web branding and promotion services will cover your business with the highest quality search engine optimization techniques, quality marketing, and a user friendly experience that is sure to gain high marks with your customers. Make your impression and succeed in the competitive online arena with the experts at your side to guide you through any difficulties and ensure you’re on the right path from a site experience perspective. A mobile responsive Toronto website is an area where the visitor base is growing with more people than ever accessing websites via their smart phones. With our expertise, we will build a layout appropriate for desktop platforms and mobile platforms for your Toronto financial company. We have built many WordPress websites for financial organizations to assist these companies in being able to run their own site beyond our involvement.